It's 23rd February and yet It's still very cold here. I recently (today actually) watched a really interesting and insightful video (that I included in this post) by researcher Heidi Grant Halvorson who explores the mindsets needed to ensure personal growth. She explains that we should avoid a “Be Good” mindset — one where we are constantly attempting to prove our superiority to the world. Instead, we should embrace a “Get Better” mindset — where we always perceive ourselves as having more to learn. Will try to change some of my bad habits - as getting to sleep earlier (as 5-6 hours of sleep is way not enough) and will make a schedule, similar to amazing one by Level up! and there are lots of useful information and just awesome art on Wojtek Fus youtube channel. 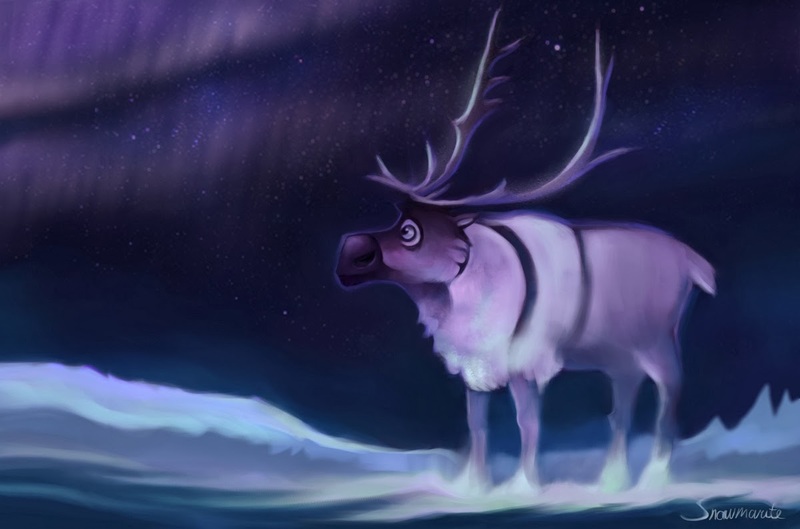 Also I made an Illustration for Sven - lovely character from "Frozen". Music Sunday 93 from Snowmarite on 8tracks Radio.